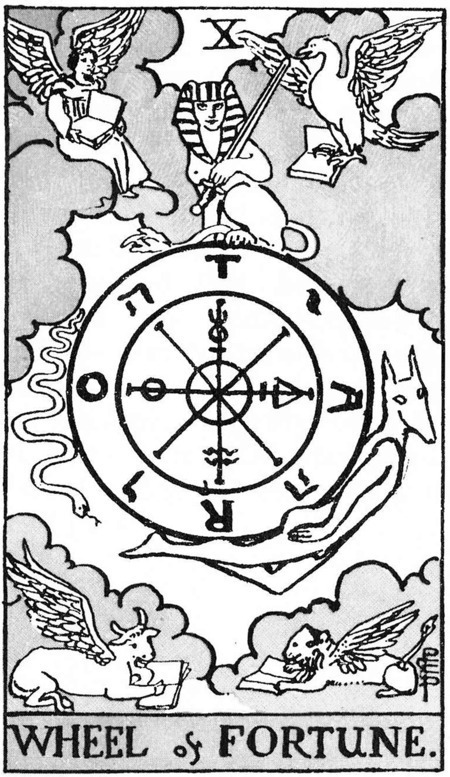 The penultimate card in our Tarot draw is card X of the Major Arcana, Wheel of Fortune. Previous sites in this series have largely had an obvious connection to the drawn card. Our site this week is a very personal choice, and possibly the most subjective one in the series. Some years ago I managed to get my mobility-impaired wife to this site (with some difficulty). After visiting each of the stones in turn, she told me “this used to be a court!” On further questioning, she insisted that each stone had a particular feeling and that judgements or decisions over disputes would be made at each stone for a particular issue. If the circle was used for such purposes, it would certainly have lead to change or new directions for those involved in such decisions. A true ‘Wheel of Fortune’! « The moment of truth for British Archaeology?